Mumbai is the city of dreams, it’s India’s proverbial El Dorado. This is where millions of people land from the smallest of corners of the country searching for the pot of gold at the end of the rainbow. Few do find it and many end up disillusioned. Some of them make it really big, some are happy to stay contented, and some are reduced to rundown shanties, always craving for more. But in this complicated matrix of the rich and the poor, the haves and the have-nots, there is a common thread that binds them all. It is ingrained in the fate of every Mumbaikar, a thing none can escape from. It is something on which Mumbai’s very existence as a financial powerhouse rests. 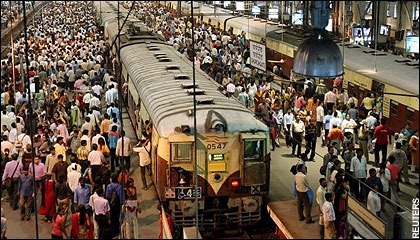 It is Mumbai’s very lifeline,The LOCAL TRAIN.